Farnham Reservoir Dam - Phase I & II Maintenance - J.H. Maxymillian, Inc. 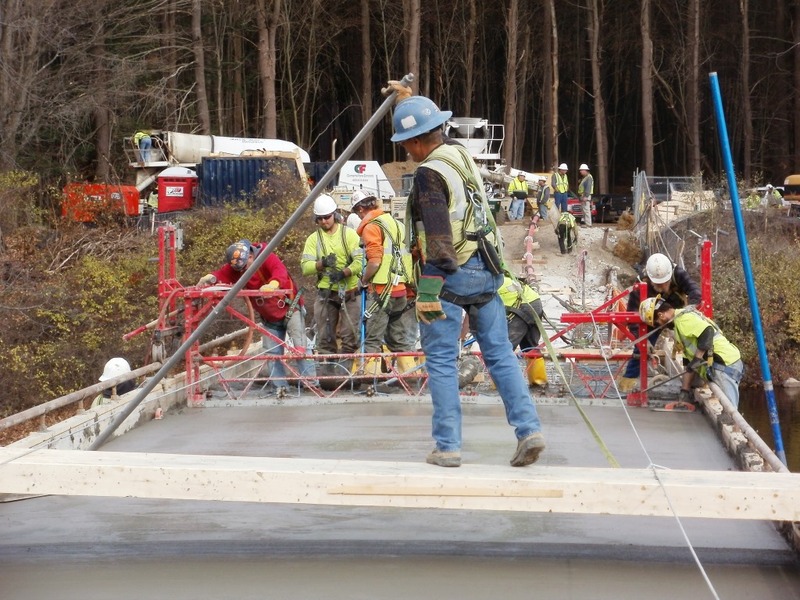 This Pittsfield MA project phase 1 work consisted of: concrete demo and repair of the dam and archway facing, demo and replacement of topping slab and coping blocks along the dam crest, demo of the gatehouse superstructure, asbestos removal, piping and value inspection and replacement. 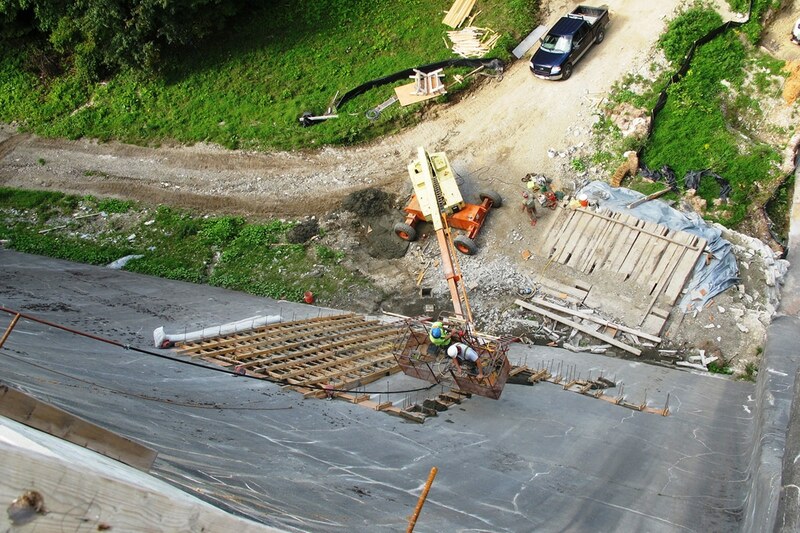 To remove coping blocks and deteriorated concrete from the Dam crest, Maxymillian designed, engineered and constructed a unique demo shield consisting of a truss scaffold system. In Phase 2, Maxymillian continued extensive dam maintenance operations and installed a new culvert. 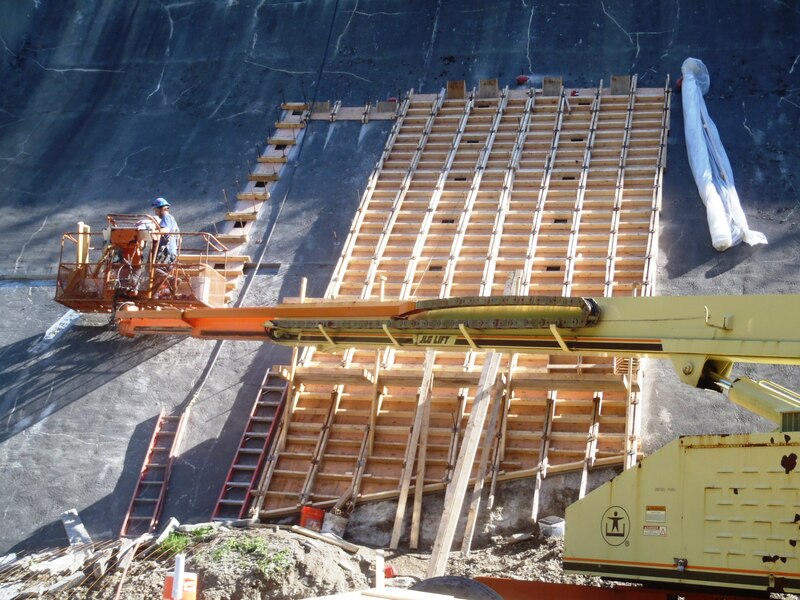 On the upstream dam face, Maxymillian removed de-laminated shotcrete and sediment, filled voids and installed a geo-composite liner system. Maxymillian removed all deteriorated concrete from the spillway archway, chute, splash pad and training walls and installed new cement mortar and blocks.